It's long been well-known among those who try to eat healthy that salsa is one of the best options when it comes to snacking. It's long been well-known among those who try to eat healthy that salsa is one of the best options when it comes to snacking. After all, the main ingredients — tomatoes, onions, lime juice and chillies — are all natural. But of course, as with anything store-bought, there's also the small factor of preserves, and in this case, specifically salt. While it still remains a relatively smart option when it comes to nutrition, some salsas can have an excess of sodium, which is of particular concern for those who are watching their heart health. And of course, salsa isn't eaten on its own — those chips you're dipping into the bowl are loading with salt and fat as well. Might we suggest switching it up with some carrots and celery, or even a lighter cracker? 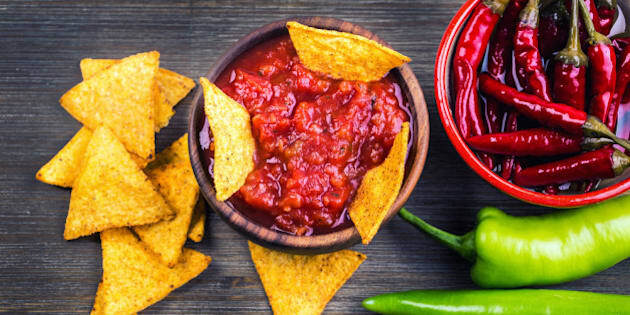 Take a look at popular Canadian salsa brands ranked by sodium, and let us know if we missed your favourite kind — we'll add it in!